Let me tell you something right off the bat. Although this sounds intellectual, it is definitely not. We literally have mountains of sports science data articulating VERY clear principles that need to be followed in order to optimize your progression in the gym. Some of the most deeply rooted training principles include specificity, overload, fatigue management, variation, periodization, and phase potentiation. If you don’t know what these are, that’s ok, if you’re following one of my hockey training programs you’re 100% covered in all of these regards to optimizing hockey performance. “Going by feel” on the other hand creates complete randomization of your training volume, training intensity, specificity, program design, programmed deloads, and training frequency. You can start to see right off the bat here that too much randomization is definitely not a good thing. Because although the training principles are set in stone, we utilize different methods within our training to accomplish the outcome of these principles to make us better hockey players. If we have no concept of the principles and no way in which to measure true progress since we are changing it up every workout. You can compare it to having a map of Boston when you’re touring Chicago. Sure, you have a map. But you have no idea what you’re doing or what is happening. Although “going by feel” violates pretty much every principle of sports science, it violates the principle of overload more than anything else. The principle of overload is essentially performing a task within a given threshold of your ability to create a stimulus of stress to force your body to make new progress. 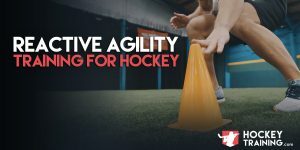 This task must be in some way, shape or form be a more difficult task than it has been exposed to in the past or else it will not present an overload to the muscle or systems involved that you are trying to change in order to become a better hockey player. The methods of training overload, of course, can come in many different forms as there are many different physical qualities that require a specific stimulus to create positive adaptation in the body. For example, power, strength, hypertrophy, endurance and all of the subcategories that go into these qualities have varying volumes, intensities, intramuscular tension, mechanical tension, force production, and metabolite stress to train them individually with maximum efficiency. 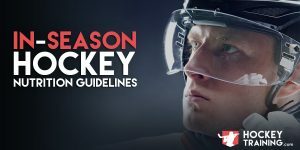 Put simply, there are very clear rules we need to follow in the gym that we know from both training science and muscle physiology textbooks if we want to get jacked, have endurance, improve our hockey agility, or any other physical quality you can think of. An easy example of presenting an overload to your body would be if you bench 300lbs x 8 this week, and come in the following week and perform 305lbs x 8. You have technically created an overload which would then create a new stress stimulus in the body to adapt accordingly. In this case build more lean muscle tissue on your chest, anterior delts, and triceps. You have to do better than previous efforts in some way in order to present an overload to your muscles. Without overload, your muscle has no reason to adapt because it is doing something it was already capable of doing. Overload creates the stimuli in the muscle, fatigue management solidifies the result (I.e. train hard and recover harder for real results). Now here’s the thing, and why I first broke down the principle of overload before getting to the “going by feel” stuff. Overload is undeniably one of the largest contributors to any training programs success, but it also comes at a cost. That cost is not being comfortable and accumulating fatigue. When you are “going by feel”, how many times are you really going to squat heavy and go all out for a set you have never done before? Squatting a respectable weight through a respectable range of motion (none of these half squat videos that keep popping up on my news feed) is bone-crushing and brutal. The “going by feel” crowd more often than not gravitates (whether they admit to themselves or not) to what they enjoy and what they can repeat on a weekly basis. Things like leg extensions and the leg press become more appealing than front squats and Bulgarian split squats. Bench press and biceps curls are performed more often than face pulls and BB Cuban press. Additionally, “going by feel” normally means you’re getting a good pump going and staying within your comfort zone, as opposed to grinding out brutal overload workouts that drive you into needing to take deload weeks. If you’re training program is not creating accumulated fatigue over a time period of 3-6 weeks to the point where you need to deload, you’re not placing an adequate overload stimulus and without proper overload, you’re never going to make progress to become a better hockey player. It’s no mistake that the “going by feel” crowd performs the same on the ice year after year. A better way to approach program design is to systemically incorporate both overload and deloading to create maximum changes in a shorter time period. This way, you force your body into making progress and are accurately following the sports science principles for success. Add this to a hockey specific program and you are well on your way to becoming a better version of yourself out there on the ice. Well then, you’re probably not training hard enough and going by feel too often. Because if you were training hard enough to become a better hockey player, you would need to deload. 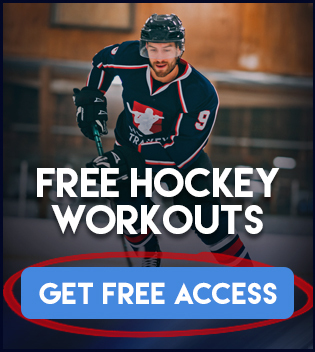 If you need help with a hockey training program click here and check out a full list of what we offer to help you become a better hockey player.